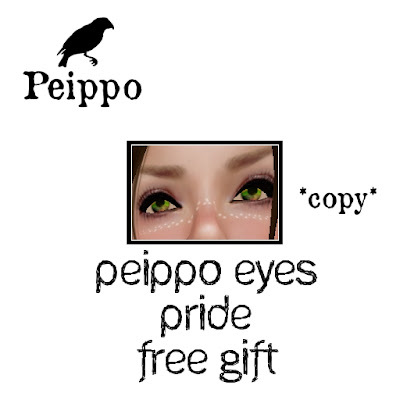 "Peippo Eyes: Pride", is a free gift at our Pride Shop, during Second Pride 2012, 22nd June - 6th July. New things coming soon, and some of our regular items available there, too. Lot's of events during this period. So many great entertainers, vendors, volunteers and organizers working to make this a fun festival. Join us!